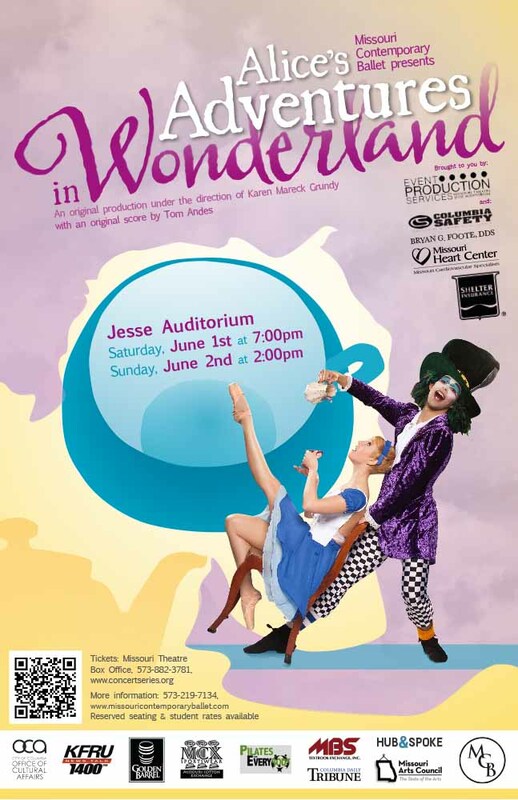 Missouri Contemporary Ballet (MCB) presents its original production of “Alice’s Adventures in Wonderland!” This family-friendly show features original choreography by Artistic Director Karen Mareck Grundy, an original score by local musician Tom Andes, and original costumes by MCB. In addition to the MCB company artists, 40 dance students from Columbia and surrounding areas will perform in this production! With music played live by local musicians and numerous dance students, this is truly a community production. Saturday, June 1st at 7:00 p.m. and Sunday, June 2nd at 2:00 p.m. Both performances will be at Jesse Auditorium. Tickets are $19-$29 for adults and $10-$15 for students and youth. The Saturday night is student night, with an additional half off! For tickets, visit the Concert Series website or call 573-882-3781. 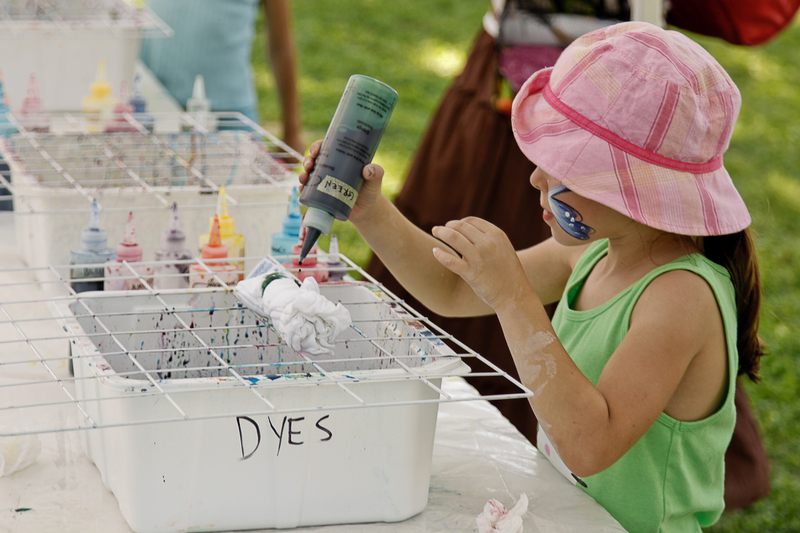 Art in the Park Delivers Fun for the Entire Family! The first weekend in June is home to one of Columbia’s favorite festival traditions…Art in the Park. This year marks the festival’s 55th year and on June 1st and 2nd there will be something for every member of the family to love! Stephen’s Lake Park, Home of Art in the Park. One of the best parts of Art in the Park is its location. 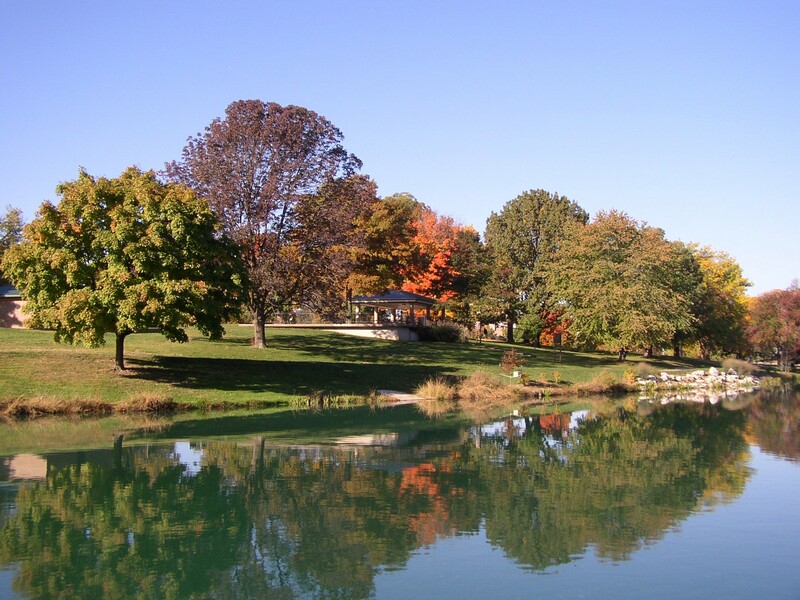 Stephens Lake Park is one of Columbia’s most beautiful locations, with a rolling landscape, open spaces, a stunning lake and play areas. Nature combined with the incredible art makes Art in the Park sure to inspire. 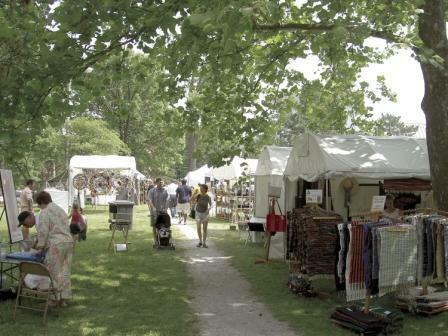 Stroll through the booths in the park to explore the art! Sometimes people may think Art in the Park is all paintings…but it’s so much more than that! The festival attracts artists from across the country to sell their work in mediums ranging from jewelry and ceramics to weaving and, yes, paintings. You can pick up a new coffee mug for your office, a new painting for that empty wall in the living room or a gorgeous scarf that all your friends will want. Let the kids get their hands messy! Of course, buying and shopping isn’t all you can do. Let the kids get in on the act to make some art! Face painting, tie-dyed a t-shirts and more all await the little ones. This June, take the first weekend and round up the whole family (and some sunscreen) for Art in the Park. It’s two days of art and play you’ll come to Columbia for every year. It’s late at night…you’ve just spent a fun time on the town with your friends in Columbia…and you’re hungry. You head to the Broadway Diner, of course! Shown during the daytime. Hopping during the nighttime. This Columbia institution is located just across the street from Flat Branch Park in downtown. On Thursday, Friday and Saturday, the Diner has late night hours (opening at 11:00 p.m. and serving it up until 2:00 p.m. the next day). There are no tv’s, the menus aren’t fancy and the place is tiny, but nowhere comes to mind as quickly after a night out as The Diner. The biscuits and gravy are perfect for breakfast, lunch or late night snack and if you’re really feeling hungry, order The Stretch. It’s a multi-layered platter of hashbrowns topped with scrambled eggs, chili, cheese, peppers and onions. Definitely the perfect cure to a night out on the town. 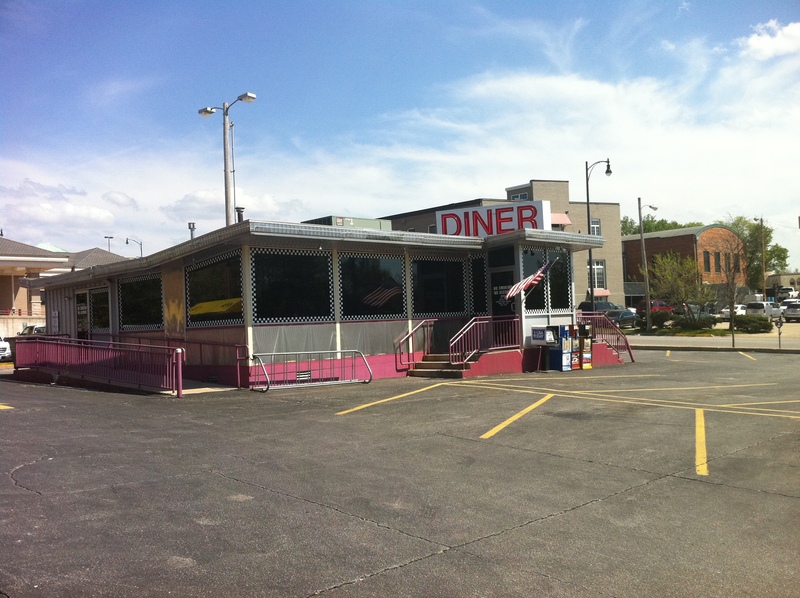 During your next night on the town in Columbia, head to the Diner to meet some characters and have some great food. What’s your favorite dish on the menu? In the mood for something sweet? Come to Columbia and check out The Velvet Cupcake. Located in the historic Tiger Hotel in downtown Columbia, the Velvet Cupcake bakes up fresh, fantastic treats every day for patrons with a sweet tooth. 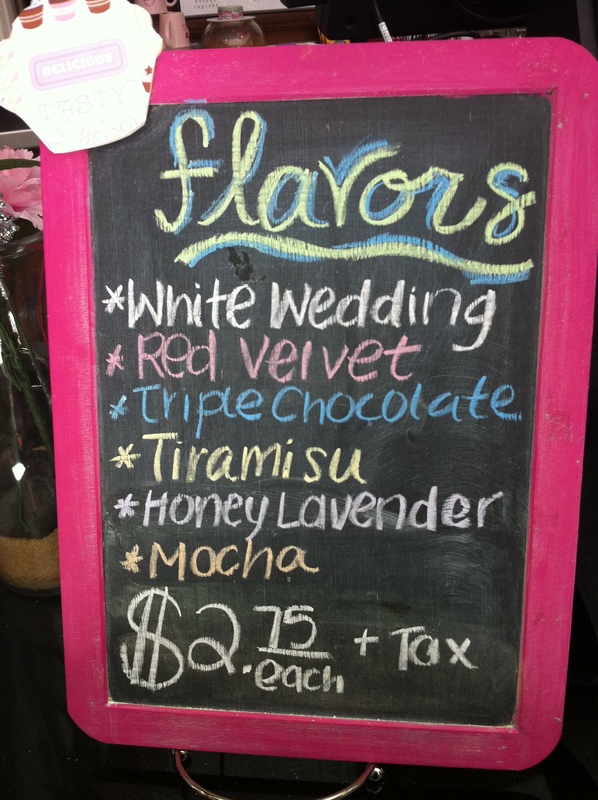 This photo is a quick shot of the flavors on any given day. From traditional cupcakes like white wedding and chocolate to the more unique maple bacon, a menu of rotating flavors will delight any visitor. Head to 8th Street on your next visit and take a bite of a Columbia favorite! Wine and Food and Chocolate, Oh My! Since its first year, the Inside Columbia Wine and Food Festival has been gaining fans and followers from across the country. This week-long festival celebrates everything wine and food related both here in Columbia and all over the world. This year, the festival begins on May 10th with the final event on the 14th. Tasty meals and decadent wines await festival attendees and some new events will make your festival experience even better. The Farm to Table Shop & Chop is a new event this year that celebrates the way local produce is used by chefs to create the spectacular meals served in their restaurants each day. Participants will meet the chefs at the Columbia Farmer’s Market to learn how they pick the freshest and best produce. After a short walk to the Activity and Recreation Center (ARC), the chefs will demonstrate how they turn those fresh ingredients into a memorable meal. For the Love of Chocolate will tempt your taste buds with perfect pairings of wine and chocolate. The sampling stations will allow attendees to sample local chocolates paired with incredible wines from all over. Don’t miss this new festival event…it’s sure to become one of your favorites! As always, the Wine and Food Festival will feature the Grand Tasting and meals with Columbia’s best chefs. Tickets are on sale for each event now and many Columbia hotels are offering special rates for festival attendees. Don’t miss out on this festival that continues to get better year after year. We’ll be here to clink glasses with you! ‘Tis the season…for the farmers market! The local enthusiasm for fresh, sustainable produce, meats, baked goods and more means the Columbia is home to three farmers markets! On your next visit to Columbia you can take home something fresh and delicious almost any day of the week. Home to around 20 vendors on any given Saturday morning, the Boone County Farmers Market has an array of produce and goods available. From spring to fall, you can pick up the ingredients for an incredible meal and also buy plants to help you grow your own garden! 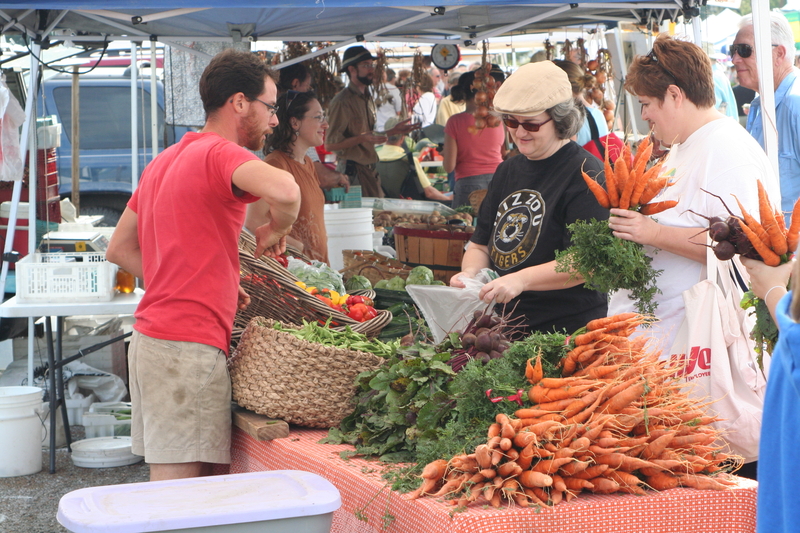 Columbia’s largest farmers market brings in droves of people throughout the week to their various locations. Their largest market is on Saturday morning, when over 75 vendors fill the lots. The Saturday market often features live music performances, hot breakfast burritos made by local culinary students and other special events in addition to the products available to buy. Try honey ice cream from Walk About Acres, buy fresh cheese from Goatsbeard Farms or pick up something freshly baked from Uprise Bakery. From the salad to the steak to dessert, you can create an entire meal from what’s available at the Columbia Farmers Market. Sundays from 9:00 a.m.-1:00 p.m. The North Village Farmers and Artisans Market is Columbia’s newest market, celebrating not only local produce but local art. Artisans from the North Village sell their art alongside local farmers and you may even see one of Columbia’s delicious food trucks serving up breakfast during the market. You can also watch cooking demos and there’s a kids booth for the little ones. Down a quiet road just a few miles south of Columbia is a local treasure. At over 350 years old, the largest bur oak tree in Missouri is a beautiful spot that you shouldn’t miss on your next visit. The tree stands 90 feet tall and has a stately spot in the middle of a field between the tiny spots of McBaine and Huntsdale. One of the most popular places for photos in the area, ‘The Big Tree’ even has its own Facebook page. 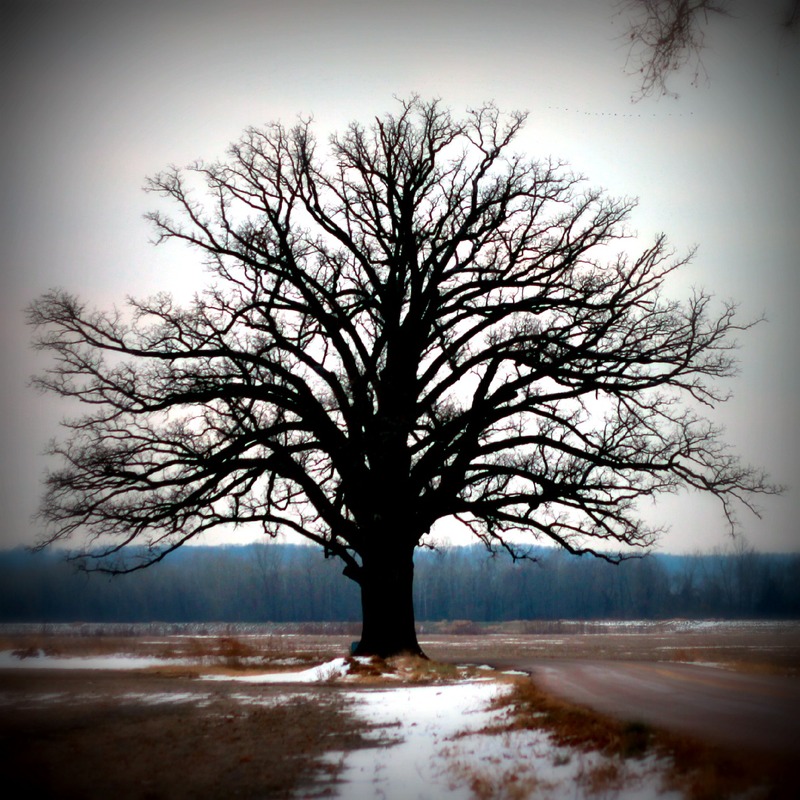 Beautiful in the spring and sometimes haunting in the winter, the tree is a majestic sight. To reach the tree, head south on Providence Road and just keep driving. And driving. As the houses become farther and farther apart, you’ll know you’ve almost reached your destination. You can also reach the tree easily from the Katy Trail trailhead at McBaine, where Columbia’s MKT Trail joins with the Katy. Rain or shine, the tree is a uniquely Columbia gem.